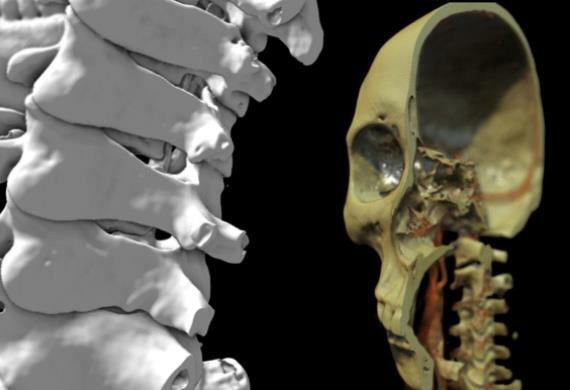 Open Inventor™ Toolkit Medical Edition is a powerful and easy-to-use 2D/3D toolkit for cloud, desktop, and mobile environments that is capable of loading and rendering data stored on PACS. 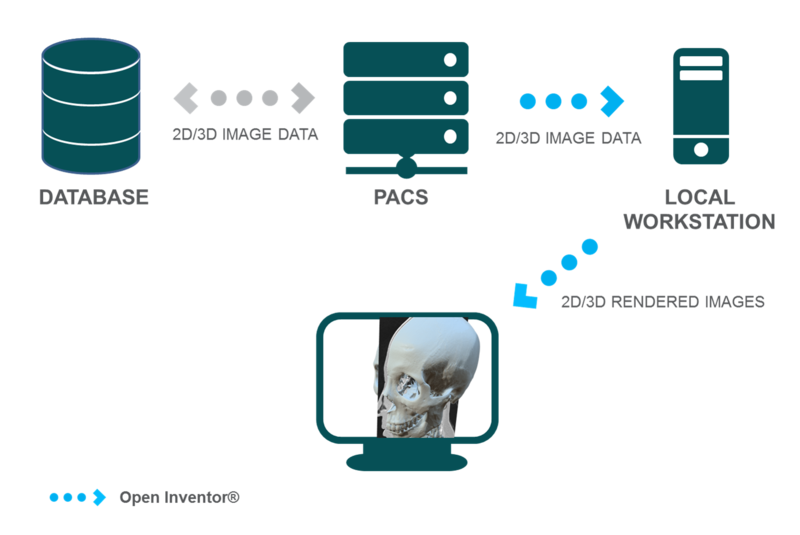 Open Inventor’s set of readers allows the implementation of software loading images, volumes or stacks of images from DICOM and many other standard formats. 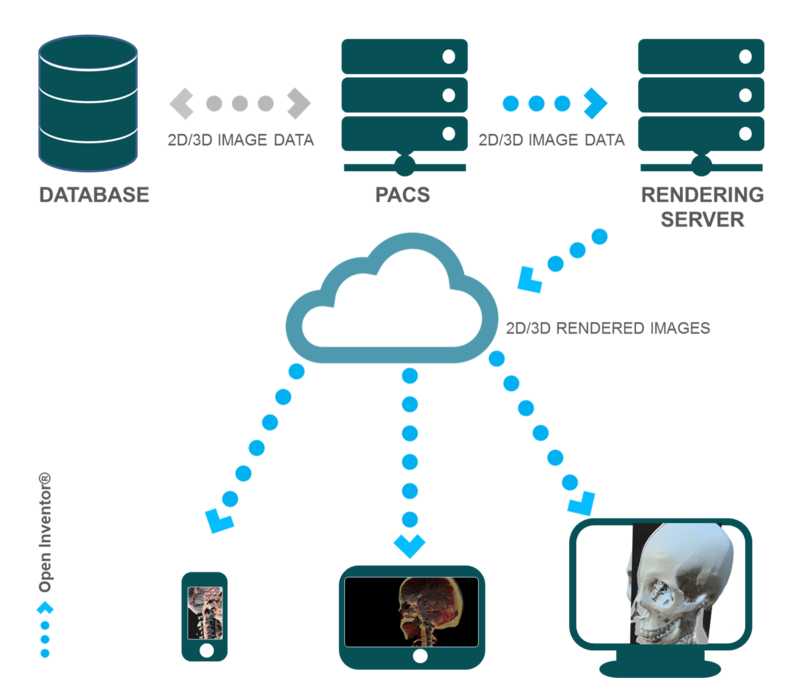 It provides robust loading of images and volumes from DICOM data objects. The PACS can send 3D data to a user’s workstation(s) where the application is running. Open Inventor uses the graphic card to render the 3D data locally. Data can be rendered using slices, multi-planar reconstruction (MPR), shaded surface (SSD) and direct volume rendering (DVR). Using Open Inventor, 3D reconstruction and rendering is as straightforward as rendering a simple 2D image. Open Inventor Toolkit has the capability to perform the rendering efficiently on a rendering server. Remote visualization allows end users to work anywhere with network access while their data remains secure and their application runs on a server located anywhere on a network or in the Cloud. To accomplish this, the PACS sends data to the application running on a server, and the application renders the data using Open Inventor Toolkit. Then, the software “ships” the rendered images to any client. 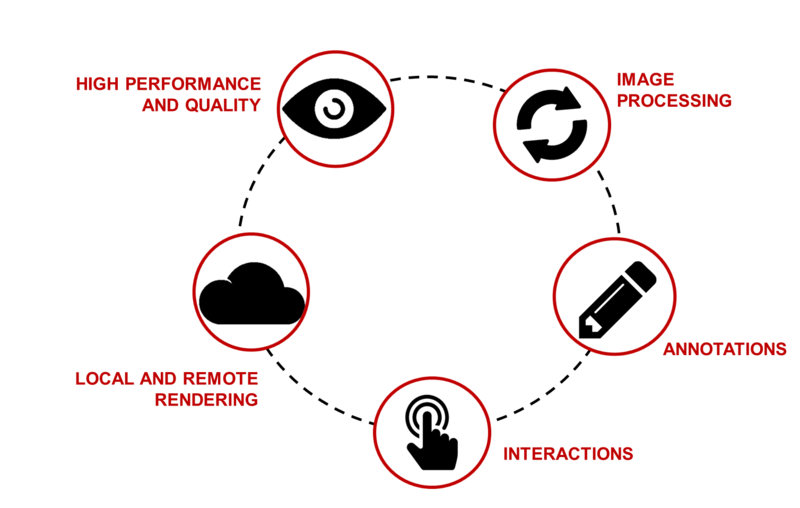 The client can be any device with a web browser supporting HTML5, such as a smartphone or tablet. To minimize bandwidth, the rendered images are compressed on the rendering GPU and then decompressed on the user’s GPU. H.264 video codec is also supported to obtain high-quality videos while keeping a low bit rate. While each user can open their own instance of the application, this architecture allows users to utilize their own device and collaborate on the same session running on the server. Rendering 3D data is a critical phase and this is where Open Inventor Toolkit integrates the largest set of algorithms. 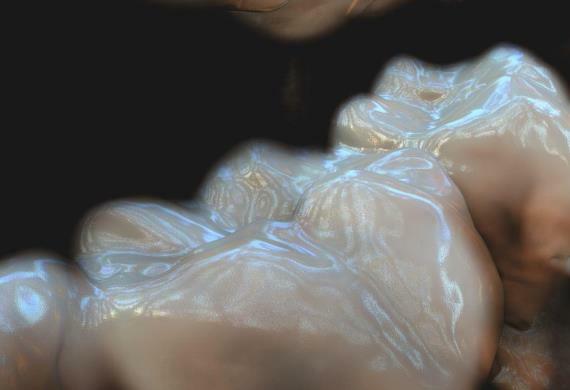 It directly uses the GPU to render volume data with high-quality shading. The toolkit also supports a variety of 2D and 3D capacities such as triangulated surfaces, finite elements, text and annotations. Open Inventor Toolkit offers tools to handle all type of user events like mouse, keyboard or multi-touch events. The application can handle pre-defined behaviors or customize how the visualization responds to events. Open Inventor Toolkit also provides a plethora of tools to build complex 3D image processing and analysis workflows. 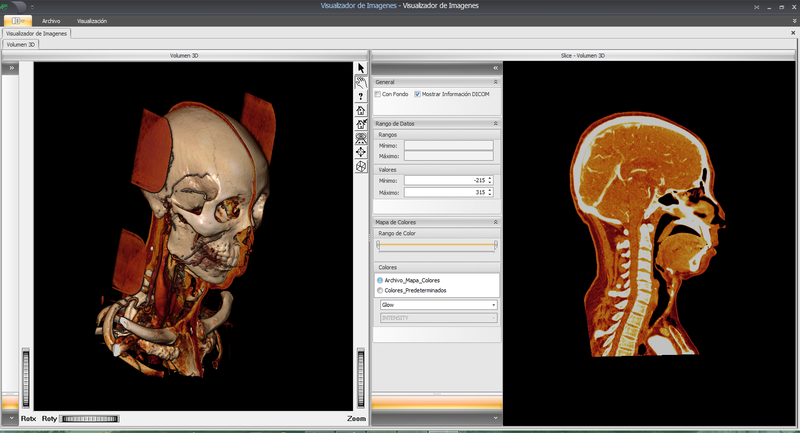 To develop powerful software that loads DICOM files from PACS and visualizes 2D and 3D data remotely, SYAC chose Open Inventor Toolkit. Their choice had been made for the development of Dinámica Gerencial Hospitalaria, thanks to “the professional, experienced and committed team of people that facilitated a very good partnership”.